Matteo Pisani, CTO and co-founder of Remoria VR, has managed to do something the folks over at Google said couldn't be done for at least a couple of years. With a little bit of tinkering, Pisani was able get his Google Daydream VR headset and remote to work on an iOS device. 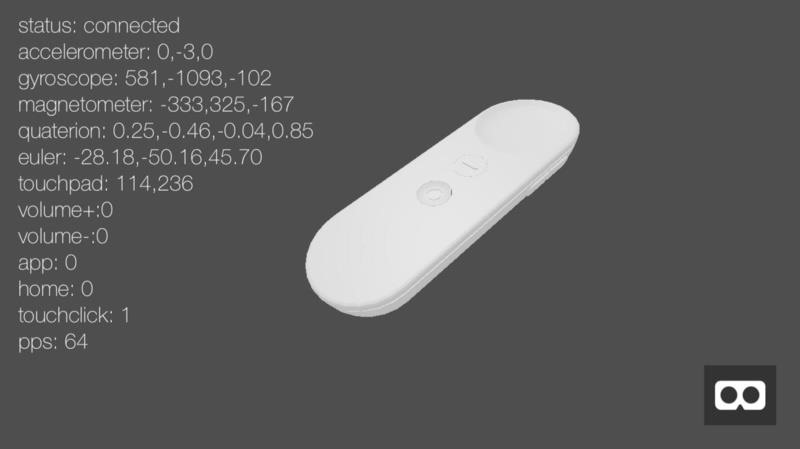 The remote for the Daydream VR works through a Bluetooth LE (low energy) connection, so Pisani's most important task was to get the controller to communicate with his trusty old iPhone 5. Using a variety of programs sourced online, Pisani successfully got the VR controller and iPhone to recognize each other. What follows next is a technical odyssey into awesome. Through trial and error, coding, and endless arm waving with controller in hand, Pisani tested and refined his hypothesis to perfection. The process essentially entailed tracing, reverse-engineering, and modifying the commands that Daydream VR uses to communicate with Android phones. What Pisani accomplished is nothing short of spectacular. Not only has he managed to get two incompatible devices to seamlessly work together, he opened the gates and laid a solid foundation on which other hackers and tech-tinkerers can build and test. I, for one, would treat Matteo to a cool glass of Scotch coupled with a delicious plate of quesadillas if I ever ran into him on the streets! Head over to Hacker Noon for all the gory details of how Matteo did it. It's not as easy as field-stripping an AR-15, but with a little bit of patience, it's completely doable—and infinitely more fun and rewarding than getting your thumb jammed between a bolt and barrel chamber when inspecting for rounds. Google meant - We don't have anybody assigned to this. We may be able to assign someone to work on it in may be 2 years. This isn't a priority. Take away - Google have a team of 200 engineers working nights on this thing and they will take 2 years to finish!